Custom Fume Hood Designs – NO PROBLEM !! RDM Industrial Products offers a wide selection of fume hoods for those who are looking for efficiency, safety and affordability combined. We have been in the industry for over 37 years, and we intend to continue the tradition of excellence that we have become known for. Our products are equipped with the needed features and qualities, thereby giving users the assurance that what they have will be as efficient and reliable as they should be. 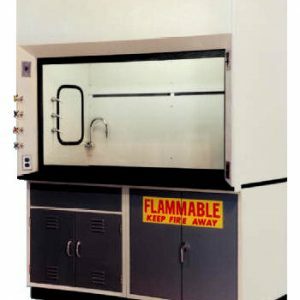 Are you looking for a chemical fume hood? Do you have a specific design or feature in mind? Tell us what you need—and we’ll be there to help. This laboratory fume hood offers various benefits and features for users, which is probably why this model is one of our most popular options to date. It includes an optional “Add Air” (Make Up Air System), as well as an efficient design for more convenient installation (it can easily fit through standard doorways). The SB-MAX Laboratory Fume Hood also makes use of a double bypass system, thereby allowing efficient exhaust volume, continuous air sweep and optimal face velocity. This model makes use of an Add Air (Make Up Air) system, which actually helps maintain air conditioned air within the building. Its Add Air plenum helps regulate the amount of conditioned air needed, consequently leading to added economy and efficiency. 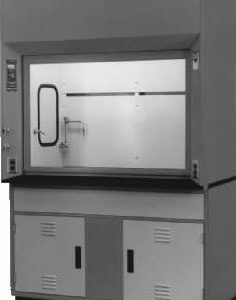 The SB-MAX-A Fume Hood has also been designed for easy installation and is ideal for a majority of laboratory exhaust requirements. 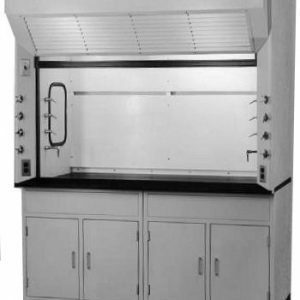 This fume hood is designed to be utilized with other exhaust systems. It is preferable most especially when automated air control is necessary. Instead of an upper bypass panel, this model makes use of a lintel, to help control air intake. It will need a mounted exhaust control system to automatically adjust required air volume, for constant face velocity. This option makes use of a thin wall (for optimal use and for greater interior work area). The XB-MAX Economy Fume Hood can be installed and utilized in any counter surface area that has 30″ depth. With its Airfoil Bypass Hoods, this model is able to deliver constant exhaust volume and regulate face velocity. It is likewise able to provide continuous air sweep, eliminate air turbulence, maintain optimal air flow, and many other advantages. 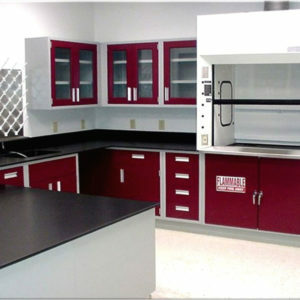 RDM also offers customized lab fume hoods, most especially for those who have specific or special needs in mind. We have the needed equipment, skill sets, expertise and decades of experience—which means we’ll be able to deliver on what you need. Just give us your specifications, and we’ll be glad to help. Note: All our fume hoods have passed the ASHRAE 110-1995 testing requirements, as well as the Federal government’s safety standards. This is an assurance to our clients that they will not only be getting efficiency and affordability—but safety as well. For Stainless Steel Tables and Carts, please see our Stainless Steel Workbench Page.